Going back to the first days of your relationship could be a great way to remember how strong your love was and to rekindle it. Take your mind back to your first date and try to revive the memory by reenacting it: book in that same restaurant, take her dancing in that same club, or maybe just do the things that sparked your love first. Is your girl the adventurous type? Then, we can all assure you, at Esposa, that nothing would make her happier than enjoying some adrenaline-stimulating moments with you on this day. Plan an outing or weekend around hiking or skiing or whatever her heart fancies, which you can top by a romantic sleepover somewhere in the mountains. The best way to combine activity time with some warm cuddling! No woman would ever say no to a spa treatment. Instead of offering her an individual one, join the pampering session for some couple sensual time. You can also spend a full day at the spa’s several amenities and enjoy some quality relaxing time together. The sexiest way to spend a Valentine’s according to Esposa! Winters are made for cuddling and Valentine’s couldn’t fall at a better time for that! What could sound better than a romantic escape in some cozy winter chalet for a Valentine’s plan? All you have to do is pick a nice guesthouse with a chimney in some mountain village and enjoy the warm cuddling while watching the snow falling outside. This trick never gets old. Cooking for your woman might probably be the fastest way to her heart. Think about her favorite meal and prepare yourself to delight her senses with a perfectly planned romantic dinner that includes candles, red petals, chocolate, and perhaps a mini massage? Sometimes, spending lazy time with your woman at home is everything she’d wish for. Cuddling under a warm blanket, watching series, and cooking together could be the perfect kind of romantic time you can treat her with. Have you proposed to your soulmate some time around Valentine's? Then why not contribute to her wedding shopping by surprising her with a voucher from Esposa as a gift? 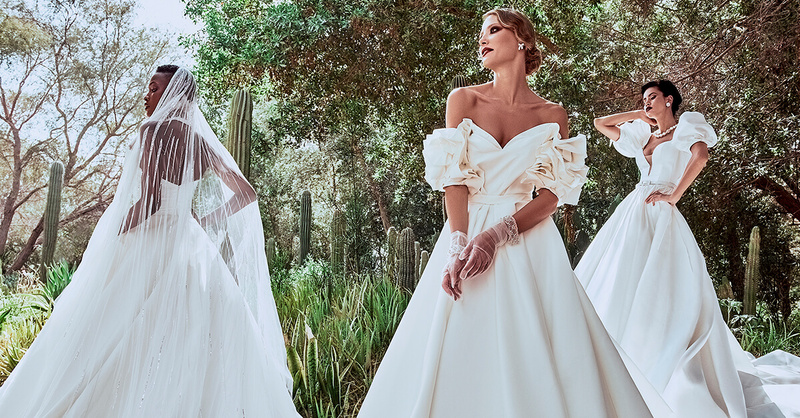 You’d help connecting her with our bridal luxury boutique chain for anything she needs from bridal accessories, to evening dresses, and wedding dresses in Lebanon, Dubai and Abu Dhabi.